I’ve just returned from a two week family trip to Hawaii and I thought it would be nice to share some of my photos, to showcase the beauty that is Hawaii. I know we’d all agree that Alex is part of the beauty that is Hawaii but I’m not sure even HE could compete with some of the gorgeous scenery we encountered on our trip. We were on Oahu mostly but also spent two days on The Big Island. Out of more than 2000 photos that we took, here are some of the highlights. I’ve had a really hard time picking out the best shots but at least they give some impression of Hawaii. Click on the individual collages for a better view of the smaller pics. Oh, and I’ve included some travel tips because I am a frustrated travel writer at heart :). 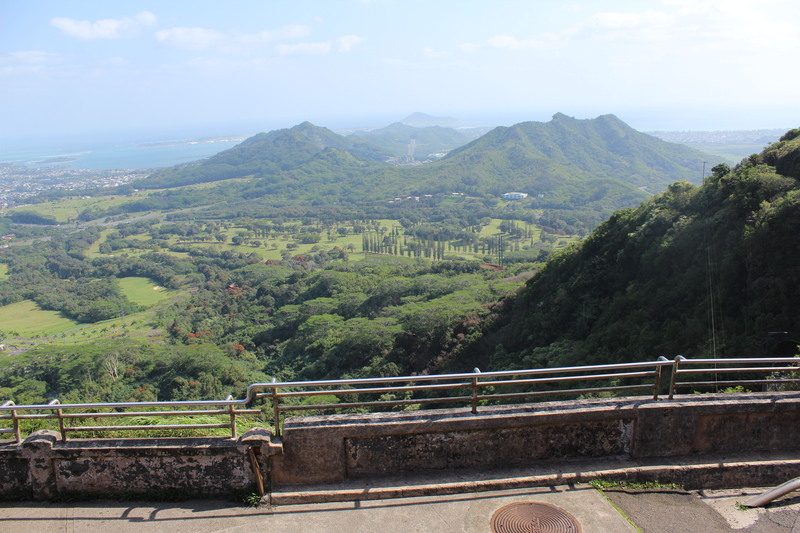 OK, so here is our first photo op: the Pali lookout. It’s really windy up there, but the views are amazing! Cool and windy at the lookout but look at the view! My kids want to move here permanently. Me, too! First up, we went shopping. Because that’s what Australians do when they are in the US! Clothes and shoes are way cheaper than they are here and my teenage son had been hanging out for months to buy Nikes at a third of the price we have to pay in Australia. 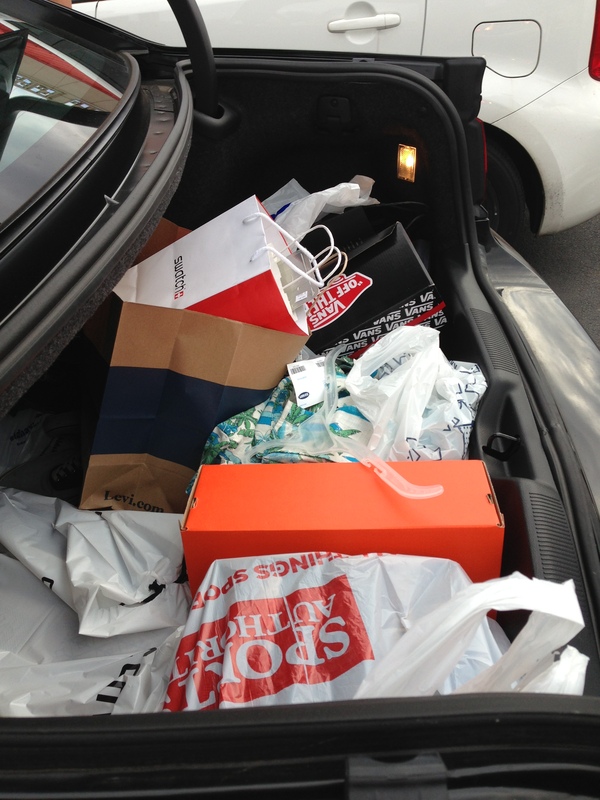 This is the boot (sorry, trunk) of our car after our shopping spree. Oops, there goes the budget! Next up was the North Shore, famous for surf beaches and lately as the location for baby SEAL training in episode 3.20. Squeeeee! If you go up the eastern side of the island, the drive is really lovely. 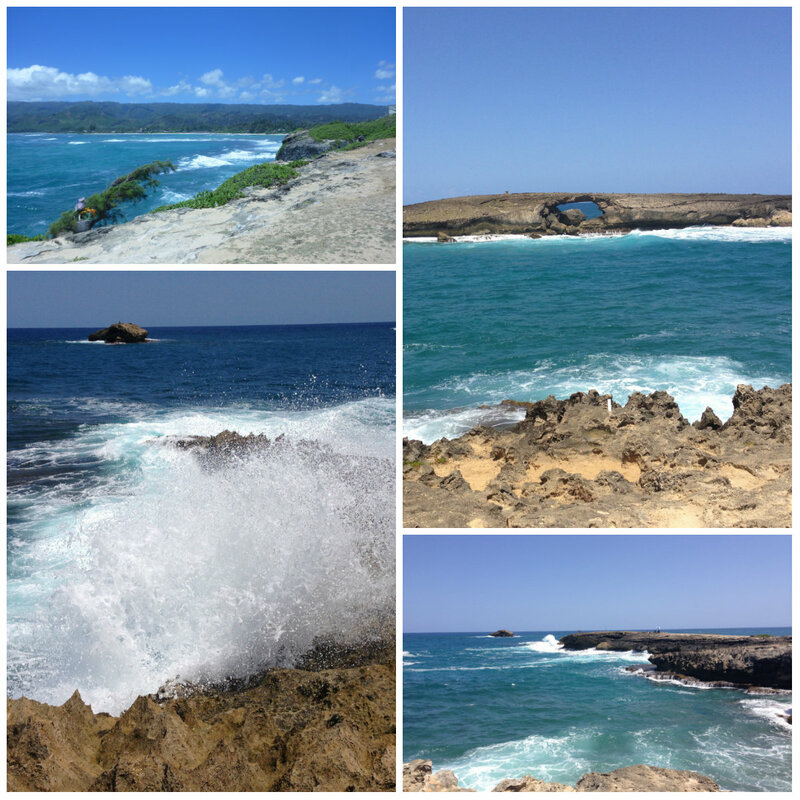 Stop at Laie Point because it’s spectacular. Being on the North Shore and H50 fans, of course we had to have shave ice :). 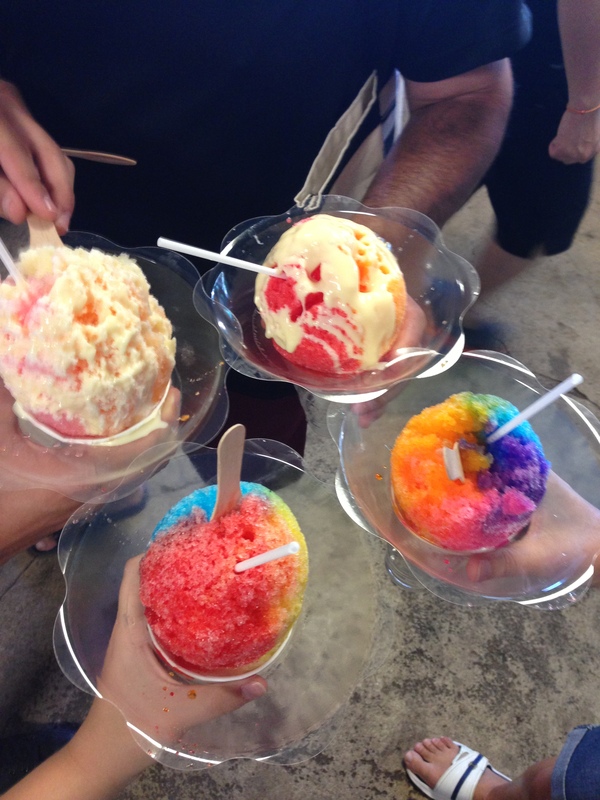 We bought ours from Matsumoto’s, one of the well known shave ice places in the main part of Haleiwa town. It’s nice if you have ice cream in the bottom, I reckon although the boys went all out and had condensed milk on top, too. If you do get the chance while in the North Shore vicinity, I recommend that you visit Kualoa Ranch. It’s a working ranch but it is used continually for film and television sets. Lost and Jurassic Park were filmed there and Hawaii 50 has used the ranch to stand in for North Korea in a number of episodes. Joe White, seen in ‘Montana’ in 3.20, was actually at Kualoa and the mountains were added in later. There are lots of activities you can participate in on the ranch including horse riding and ATV tours. 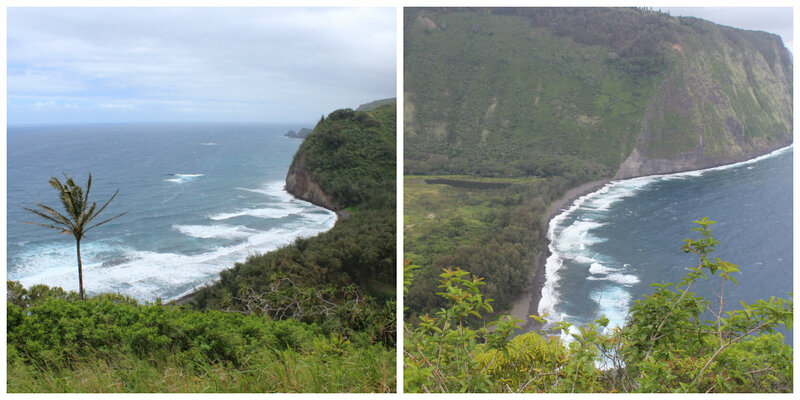 We did the movie sets tours – so awesome to be ‘in’ Jurassic Park and in familiar H50 territory. Hawaii is a great place to visit if you love the outdoors and walking/hiking. 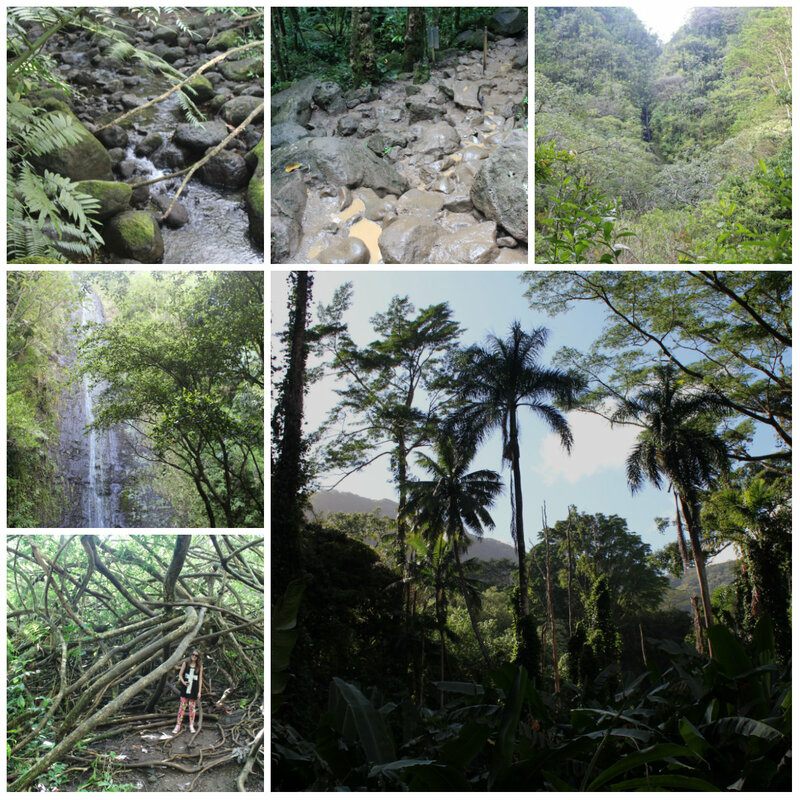 There are lots of hikes you can do to take in the beautiful Hawaiian scenery. Here’s the most famous one, at Diamond Head. 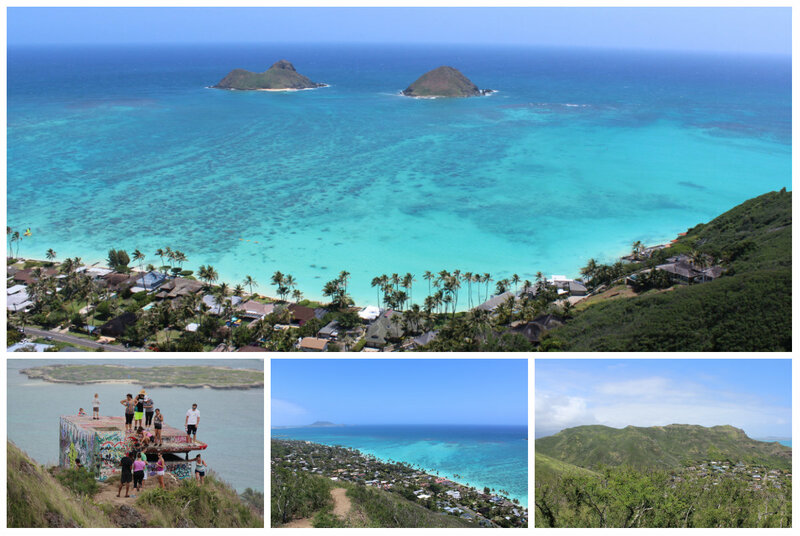 We also did the spectacular Lanikai pillboxes hike. Lanikai is a gorgeous beach on the eastern side of the island. The view took my breath away. Or was that from climbing up the hill? We were there late afternoon after it had rained so it was a bit muddy. After all that hiking, my legs were killing me 🙂 So we went to Hanauma Bay which offers fantastic snorkeling and a safe swimming area. It’s a nature preserve so you need to pay to get into the park and there’s a film you need to watch on how to protect the coral and sea life before you are allowed to snorkel. It’s beautiful there because the bay is protected and there are palm trees on the beach. Palm trees on the beach! Awesome. 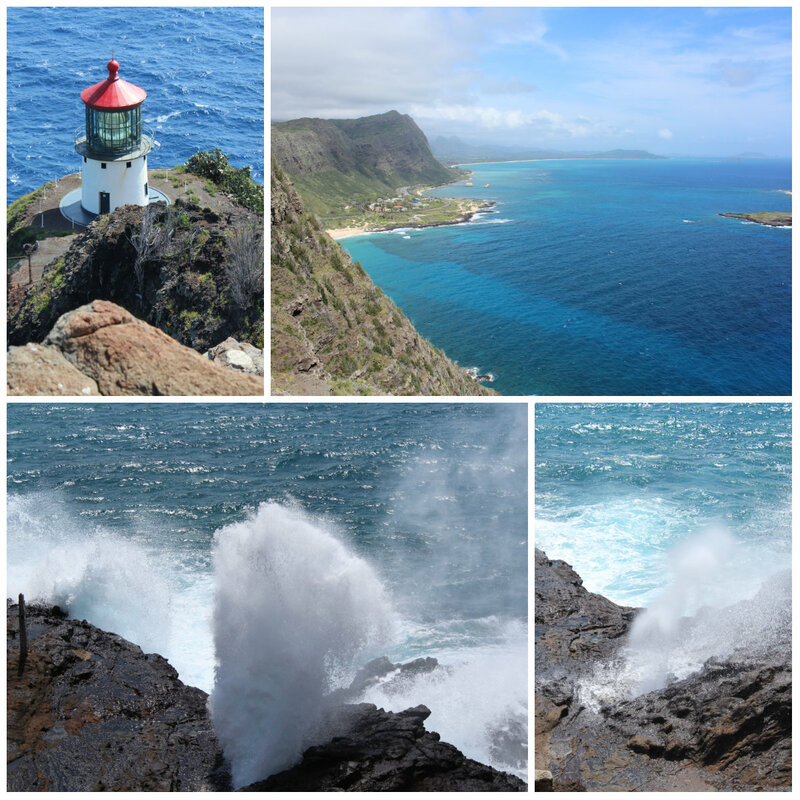 Hawaii has beautiful scenery but there’s also so much history to soak up. 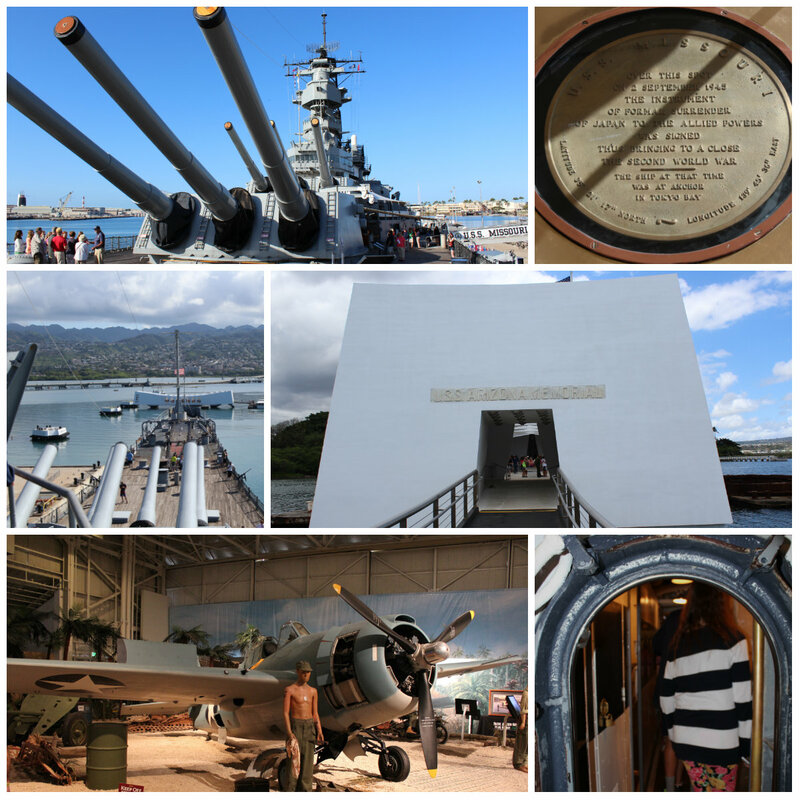 We spent a day at Pearl Harbour and visited all four historical sites – the Arizona memorial, the USS Missouri battleship, the USS Bowfin submarine, and the Pacific Aviation Museum. I like that, despite the thousands of people who visit the memorial each day, it is suitably somber and respectful. The ticketing system allows for a only a limited number of visitors to be on the Arizona memorial at any given time so it’s not too crowded. There is also a short documentary on the bombing of Pearl Harbour that you must watch before going on to the memorial which I think is a grand idea to try to ensure that visitors are fully aware of what they are commemorating. The USS Missouri tour is a must, and not just to relive the H50 episode from season 1 where hostages are taken on the ship :). The tour is really interesting and you then have the chance to roam around the battleship. Another must-see if you are interested in WW2 history is the cemetery at Punchbowl. 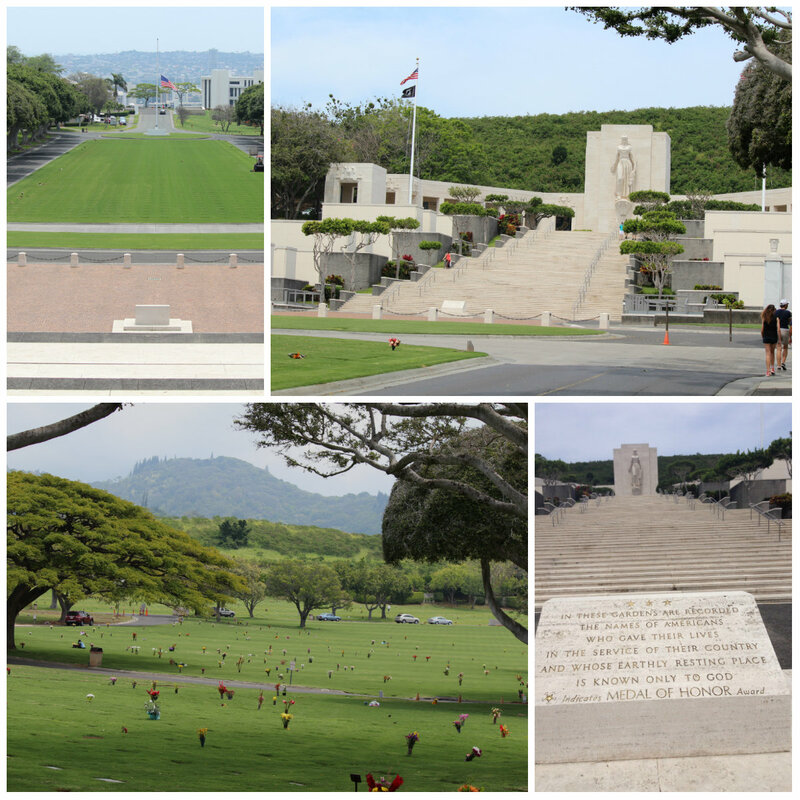 It is the National Memorial Cemetery of the Pacific and service people and their families are buried there, including a number of Medal of Honour recipients. The memorial at the back of the cemetery commemorates those service people ‘whose earthly resting place is known only to God’. Their names are recorded on the memorial. The cemetery is immaculate and the memorial a fitting tribute to the fallen. It’s been featured several times in H50, of course. 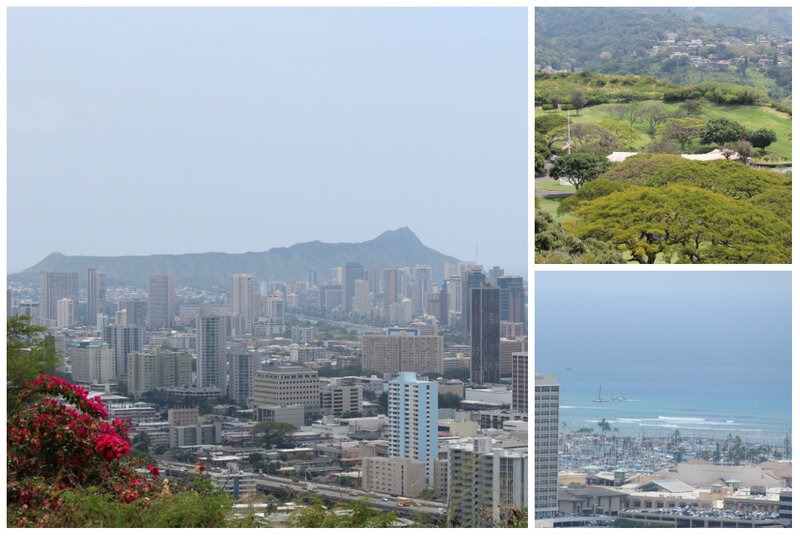 There is also a lookout at the cemetery which affords glorious views of downtown Honolulu and Manoa Valley. The beach to ourselves! Cool. Waikiki is a lovely beach in terms of being framed by Diamond Head, though, and this is an iconic scene. 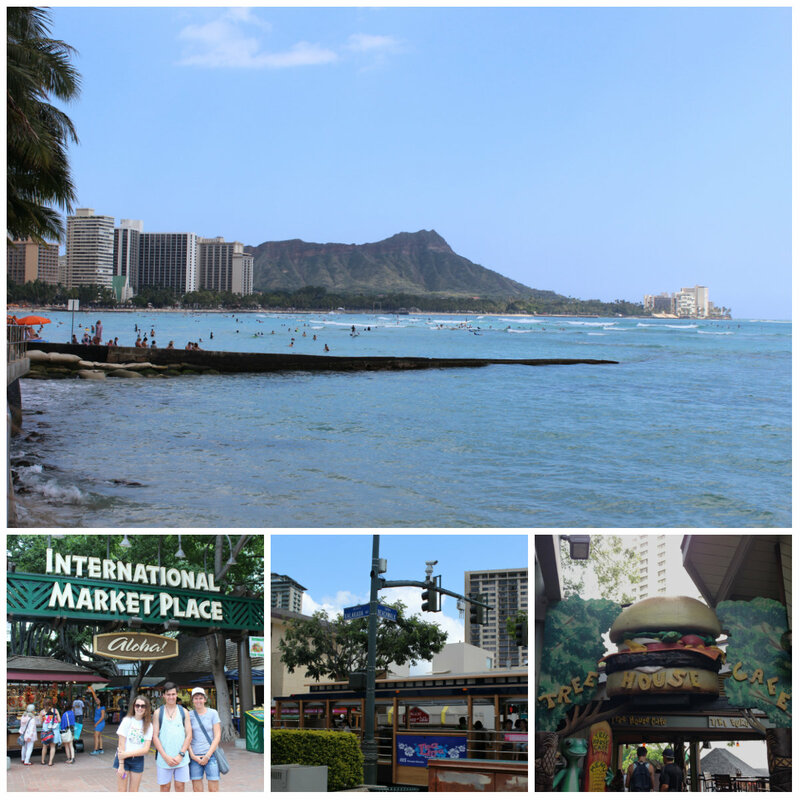 We had a really nice day wandering around Kalakaua Avenue and the International Marketplace. My daughter had a henna tattoo done there and I had delicious Korean BBQ for lunch. Lots of H50 stuff to see there, too: there has been filming in the Marketplace itself, the Treehouse Café, and along Kalakaua Avenue. 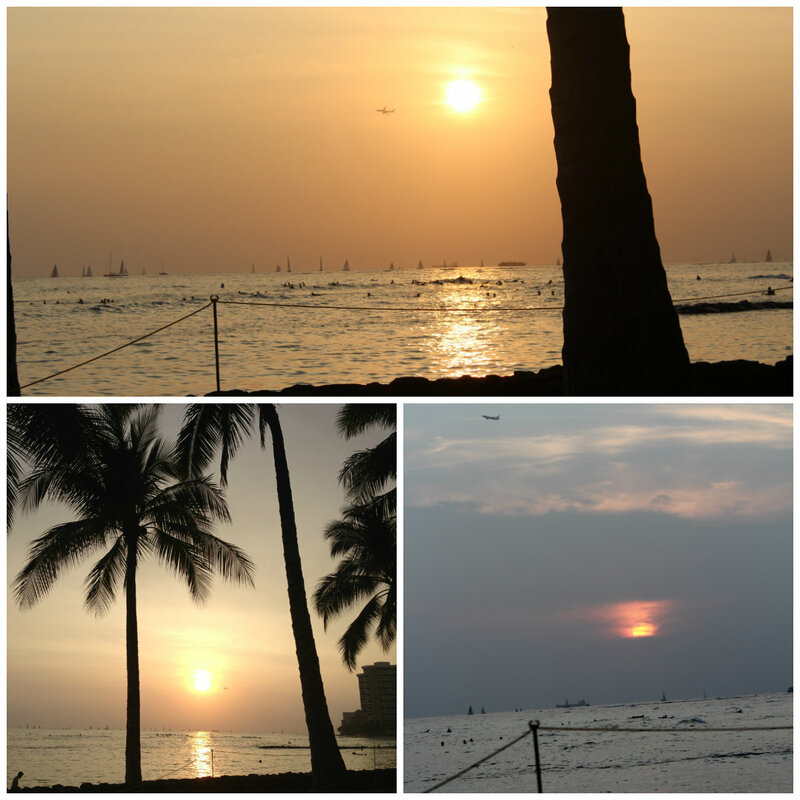 While the beach during the day at Waikiki is a bit chaotic, it is magical at sunset. The Hilton Hawaiian Village is also in the Waikiki area. If you are there on a Monday, they have special screenings of H50 in one of the restaurants. There’s a small store in the complex that sells H50 merchandise. (I bought a bookemdanno t-shirt there!) Best of all, every Friday night at 7.45pm, there are fireworks on the beach. 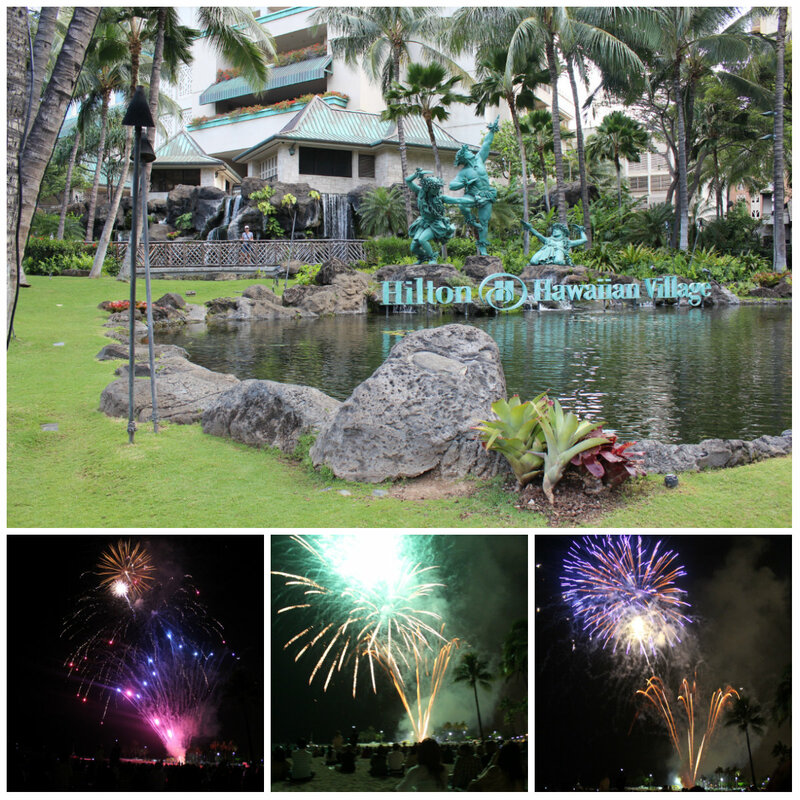 We watched the fireworks on our last night in Hawaii. 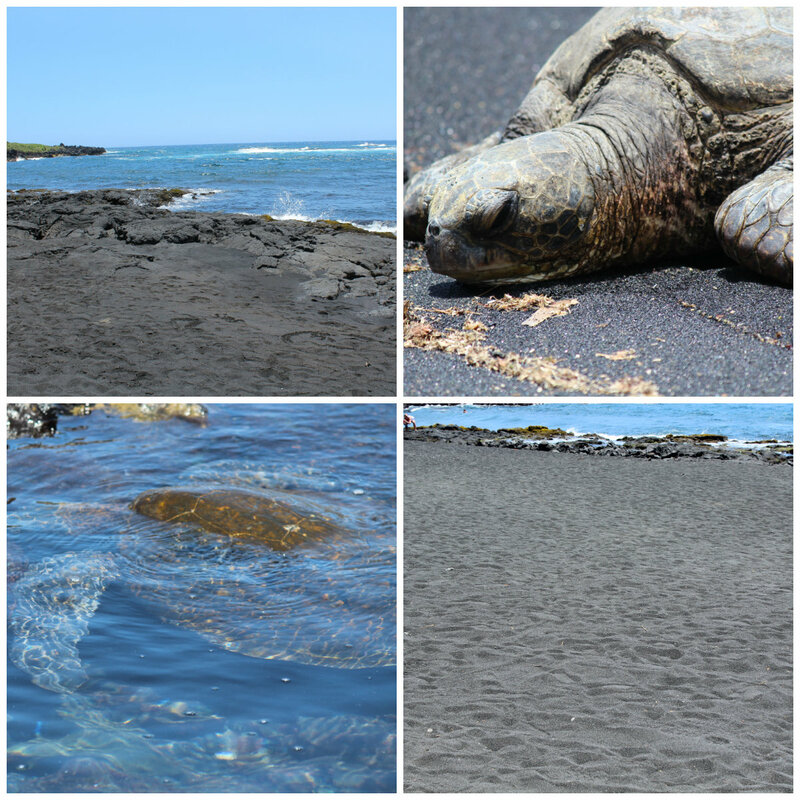 We were lucky enough to spend two days on The Big Island while in Hawaii. Each island is quite distinct, I think. I have been to Maui before and it’s quite different to Oahu. The Big Island, outside of the main town of Kailua-Kona, is much less touristy than Oahu. It is the biggest island – hence its name – so everything is more spread out and less densely populated. 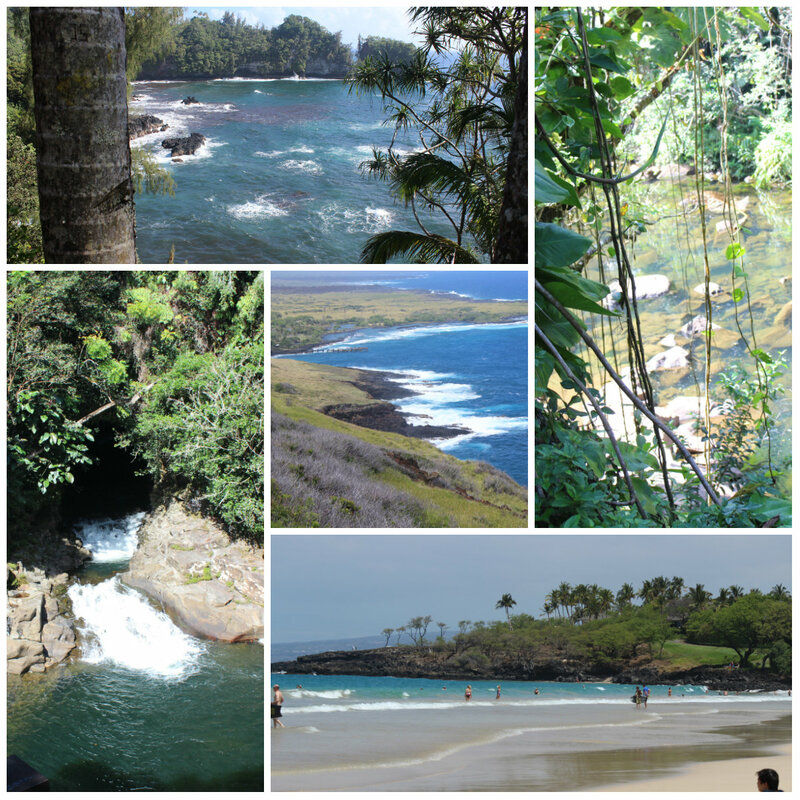 The main attraction is of course the Hawaii Volcanoes National Park but there is some beautiful scenery on the island, including a gorgeous white sand beach, Hapuna Park, and several waterfalls. 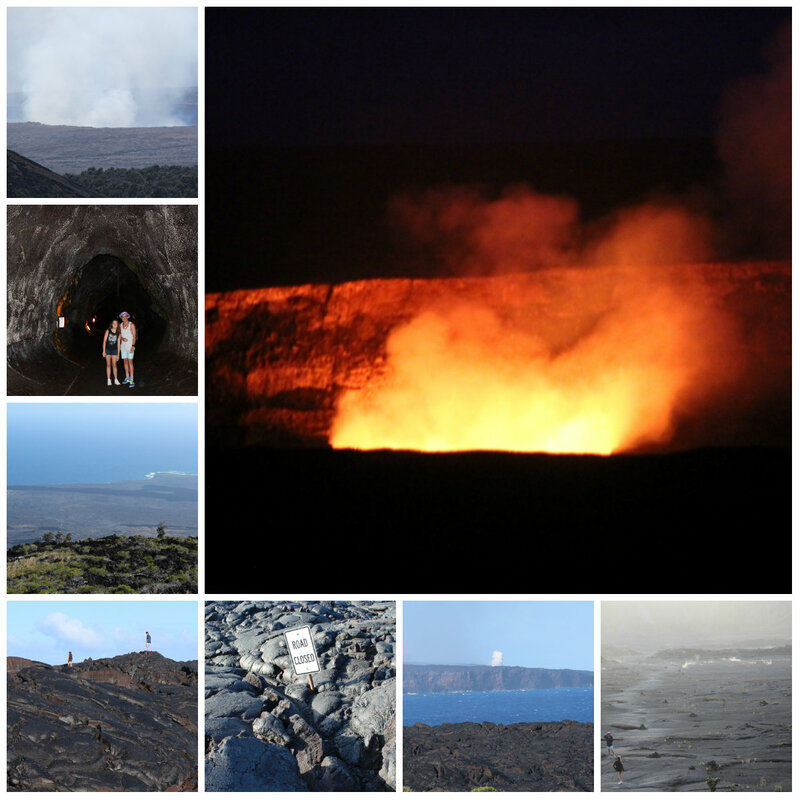 But of course the most amazing thing of all was the volcanoes national park. There’s loads to see there, including the Thurston Lava Tube (middle pic on the left), the hardened lava across the road on Chain of Craters Road, the steam vents inside a crater and of course the volcanoes themselves. Walking on the hardened lava (bottom left hand corner) was amazing. This is just a small snapshot of my time in Hawaii. My family and I had the most amazing holiday. The people of Hawaii are friendly and welcoming – the aloha spirit is everywhere – and I can totally see why Alex has embraced it and loves living there. I hope you’ll come back to visit The Champ Box soon. My next post will feature some 3.23 filming we were lucky enough to see and also pictures of H50 locations that I dragged my family to under the guise of exploring Honolulu. Despite the eye-rolling though, my husband is all set to watch Show from the beginning now so we can spot the places we have visited. Resistance is futile! Andrea, our family went a few years ago and your pics are a trip down memory lane in many ways. 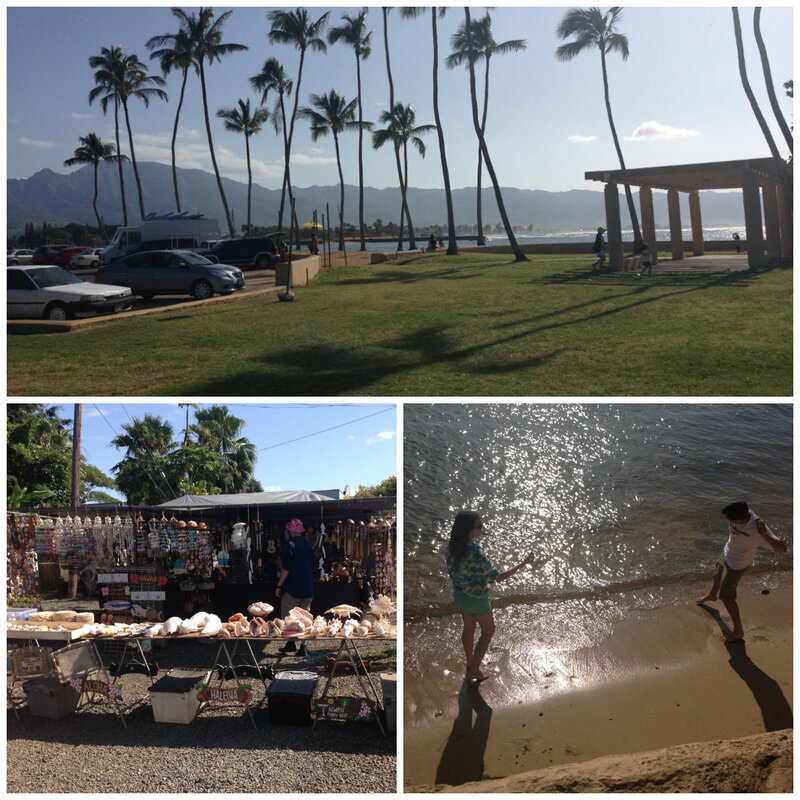 We were on Oahu for just 2 days and then on to Maui and a day trip to Lanai. Your pics and captions are really well done and beautiful. We should have stayed longer, as we did not allow the time for hikes that you did. Also, the completely redone Pearl Harbor exhibit was opening the month AFTER we were there, bummer. We went on the Arizona Memorial. It was all great though. I didn’t watch Show yet and it s probably just as well, because I didn’t spend all my time looking for a glimpse of AOL like I would now. Cheers to you and you family and glad you had a great trip! Beautiful pics Andrea. I sure wish I could visit HI one day. Apparently a couple of pics with Alex on the beach were taken in Waikiki (if I´m not mistaken) so I would totally fight for my piece of sand there 😉 And I hate crowded beaches, but would suffer just in case you got a glimpse of him! Also the Aloha spirit would be nice to witness. This looks so wonderful! Thank you so much for sharing, as I’ve never been to Oahu. I would definitely be like you and do all the hiking and crowds a Waikiki. And of course it would so totally amazing to see H50 filming and those sites! 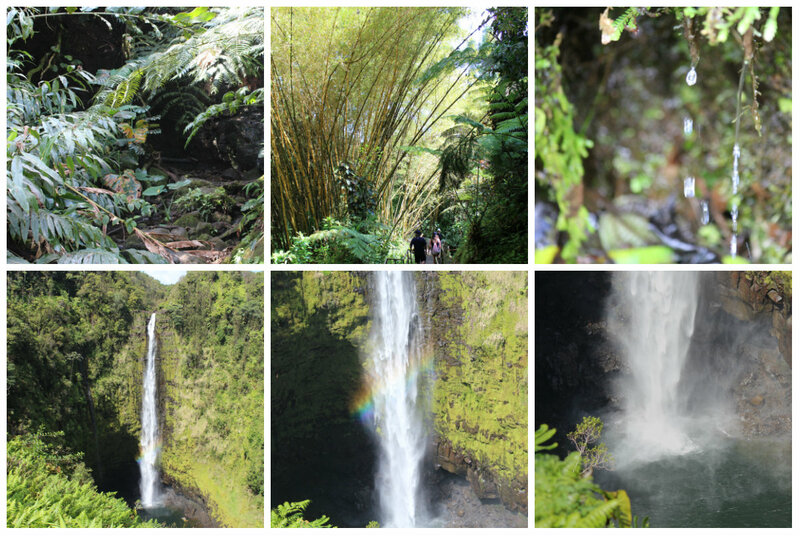 I love the pics of Akaka Falls Park, especially. Headed there in 2 weeks! Thanks for all the “tips”-very useful! My not McG is likewise rolling his eyes about all the “exploring” I shall be doing, but will tag along nonetheless. Andrea, your pics are amazing.. The beauty of Hawaii is breathtaking. I’m so glad you had this opportunity to visit. Sad that you didn’t get to see Alex, but as I said to you before, we will hunt him down when we do a FUCUP visit one day! I had a long weekend in Hawaii many years ago on my way to LA, but sadly, being young and foolish, I spent most of my time there consumed in a cloud of alcohol and partying, so didn’t get to see much. Sightseeing with a massive hangover is so not fun! Thank you for sharing! Wonderful trip full of memories! Thank you so much Andrea.You did this so beautifully and your choice of photos are stunning. I;m so glad you and your family had such a wonderful time but be warned HAWAII IS HIGHLY ADDICTIVE!! Once you have been there you will always want to return!! Thank you to all who have commented on/liked the post since it was published. I’m really glad you enjoyed the pics. They don’t even begin to capture just how beautiful Hawaii is, of course :). I’ll be going through my pictures later in the week to find the ones of the filming we saw and of the main H50 ‘locations’ so stay tuned. Aloha! 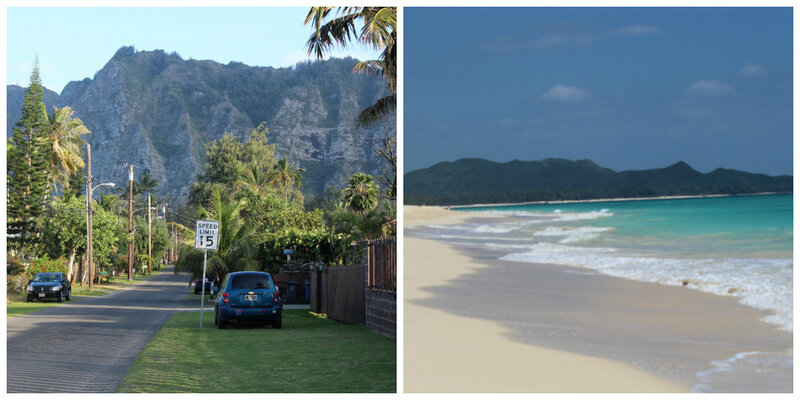 Great tips,I’ve made notes as I’m heading to Oahu and Maui next year,so excited! Andrea, how nice of you to share this, thx! It’s unrealistically beautiful. Good on you to have an active holiday, seeing a lot of sights rather than just staying on the beach. I’m glad you were enjoying yourselves. 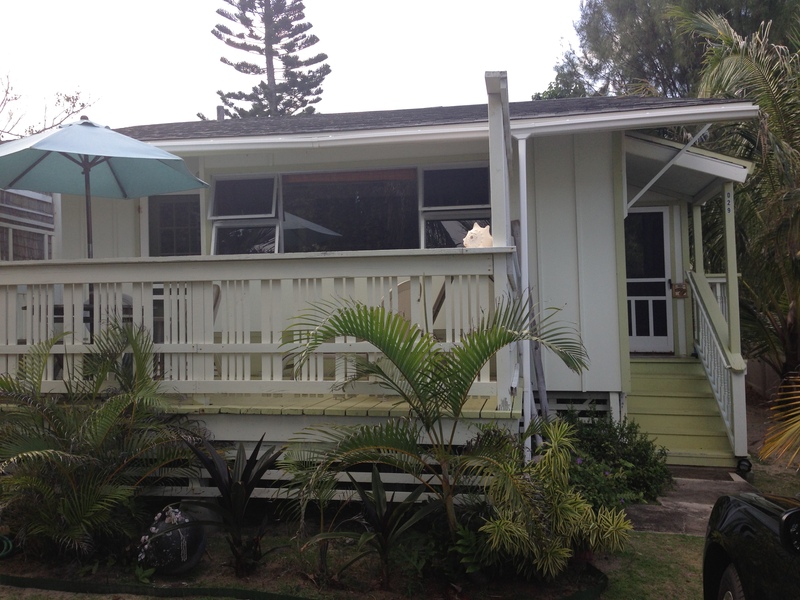 Oh, and I also like the H50 filming locations in particular! Thx for the hard work you did to gather the information and the pictures! Aloha!! I am going back to Hawaii in June… first stop on Maui for my high school reunion and over to Oahu to hang with college friends… and your photos make me even more excited!!! Can’t say that I’ll be tacking Koko Head, but huge props to you for making that climb. 🙂 Thank you for such a detailed and visual account of your trip! I hope you’re posting this on Trip Advisor – a lot of people would benefit. Great pictures Andrea! Thanks for sharing them. GORGEOUS, Andrea! Looks like you and your family had an excellent time, and your photos are BEAUTIFUL. I want to live there. Thanks for the photo appreciation, everyone 🙂 I can’t take credit as McBriz took most of the pics. 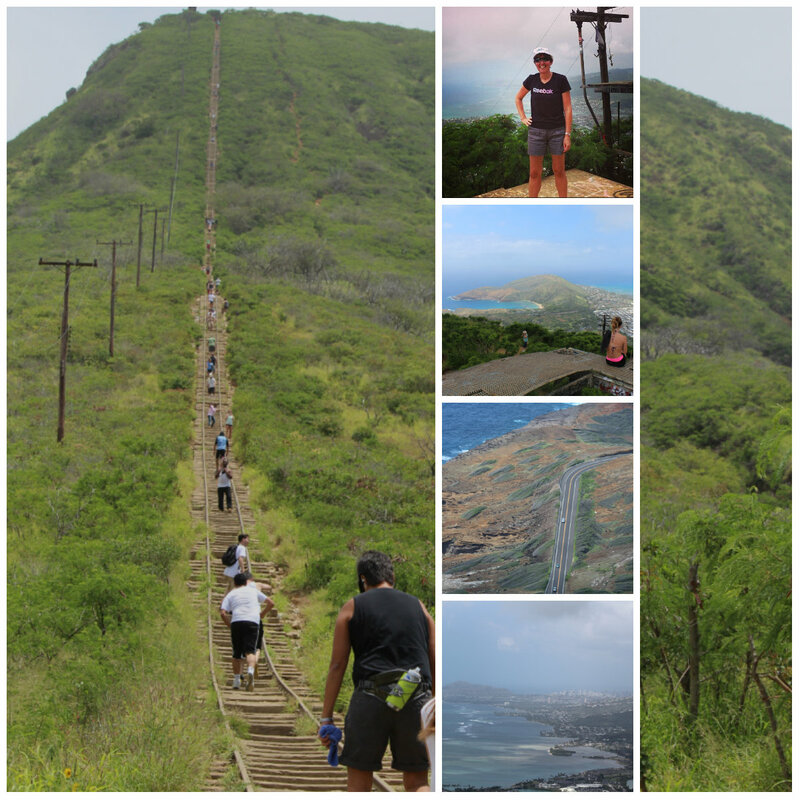 Koko Crater – yep, definitely the hardest hike I have ever done but it feels great to make it to the top. I asked my daughter the other day to name her favourite activity of the trip and she picked that hike just for the sense of achievement from making it to the top (and for the views). Awww. 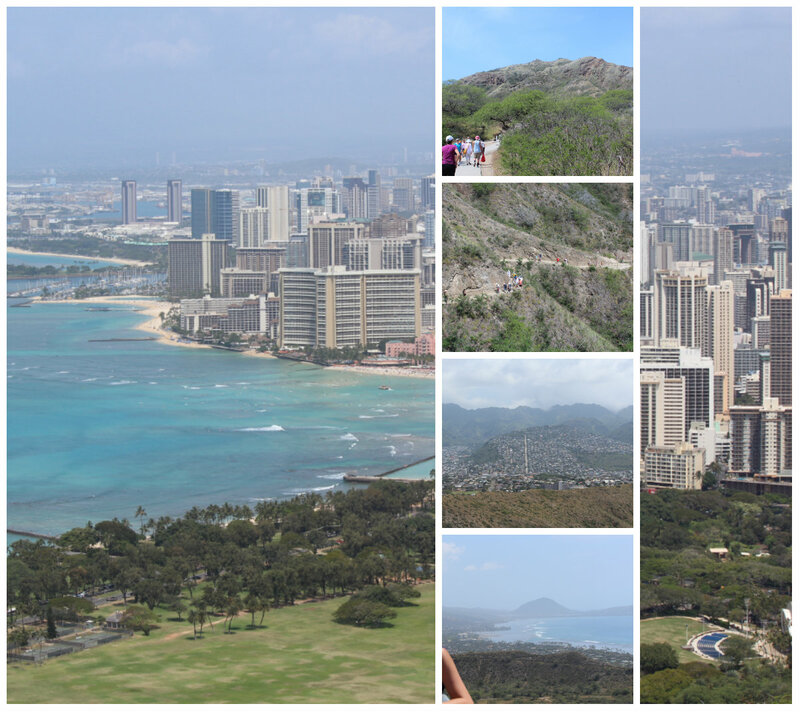 Hope you are able to do the Lanikai one as the views of the beach from the pillboxes are breathtaking. You eould have made one heck of a travelblogger Andrea! Loved it! Big time! I will forever be impressed by anyone who can make it up to the top of Koko Head. Every time I see a picture of it I realise that I’ve forgotten how intimidating it is. You are awesome! really enjoy a quieter beach. Did you see the volcano looking like that? It looks incredible. Thanks for sharing. I remembered you were going soon! Have fun and keep me updated on what you are doing. I’d love to hear about your experiences. Yes, Waikiki is buzzing and all that but there are some lovely, quieter beaches on the island. 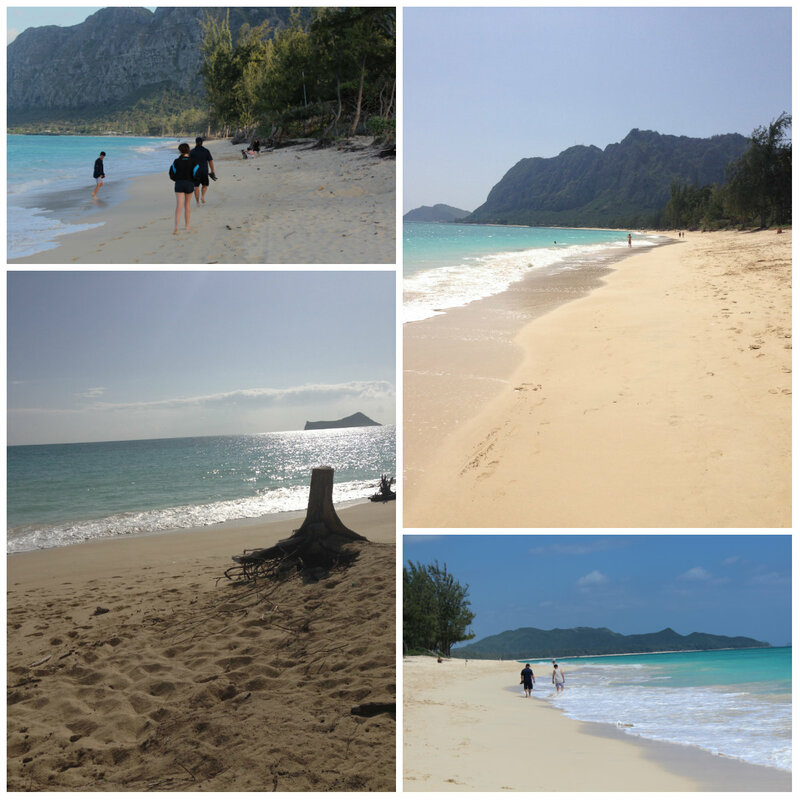 Kailua, Waimanalo and Lanikai are beautiful. MJ, hope you have a wonderful time in Hawaii – make sure to post some pics for us!